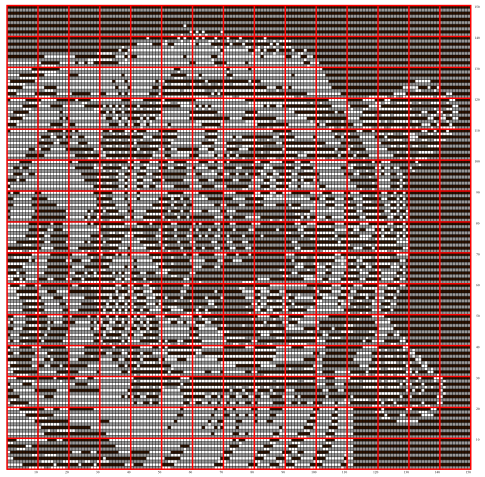 I have made minor changes to the chart whilst I have been knitting the Tiger’s Head Illusion. The new chart looks like this. The completed chart and knitting instructions are available from the Woolly Thought Order Form Illusion Page. 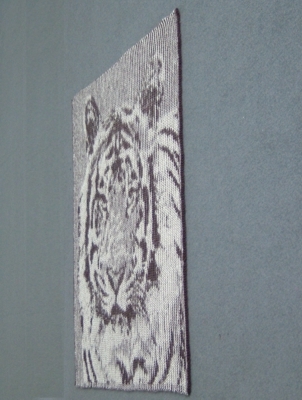 The completed Tiger’s Head Illusion Knit looks like this.